Today, 30 years ago, I witnessed the most special show in my life. Prince played in Dortmund to a predominantly Dutch crowd. The show was broadcast simultaneously! 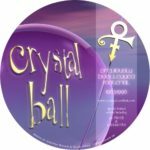 In 2003 Prince released 3 instrumental albums. After Xpectation and the great C-Note, N.E.W.S. was added in June. An impressive piece of work. 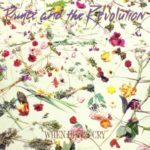 A look back at an album that is not well-known. 25 years ago Prince shocked the (music)world. He took on a new name. A symbol that was unpronouncable. Looking back at 6.5 years of controversy. 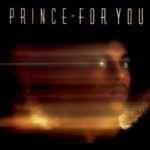 After Dirty Mind, Controversy, 1999, Purple Rain, Around The World In A Day, Parade and Sign O’ The Times (and the withdrawn The Black Album) Prince just delivers another masterpiece. Where does it end? Another title added to the already impressive list of genius albums: Lovesexy! In 1978, 40 years ago, Prince Rogers Nelson makes his debut. The start of a career of one of the most interesting, influential and exciting artists of all time. My Name Is Prince: The official exhibition is in Amsterdam. After success in London now also great success in Amsterdam? A review. 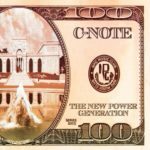 C-Note: Within 3 days after Xpectation another new Prince album? European and Japanese soundcheck recordings from the One Nite Alone… Tour 2002! 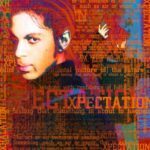 All of a sudden, on New Year’s day 2003, a new Prince album was released, exclusively available to members of the NPG Music Club. A jazz album with special guest Vanessa Mae. Closing of 2017. What was good? What wasn’t? What were the main events? What stories were favorite? A look back at 2017. In 1987 The Black Album was to be released. It ultimately wasn’t. At the very last minute Prince retracted the album. What prompted that decision? This year my son asked me if I had published my 10 best songs yet. Why not was the next question. Hereby I present my list. This year my son asked me if I had published my 10 best songs yet. Why not was the next question. Hereby I present my son’s list. 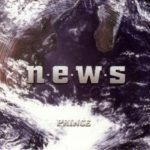 Prince makes his first double-album: 1999. It turned out to be Prince’s breakthrough in the US. On his terms with an album that contains a lot of experimental music. Looking back at a crucial album in his career.